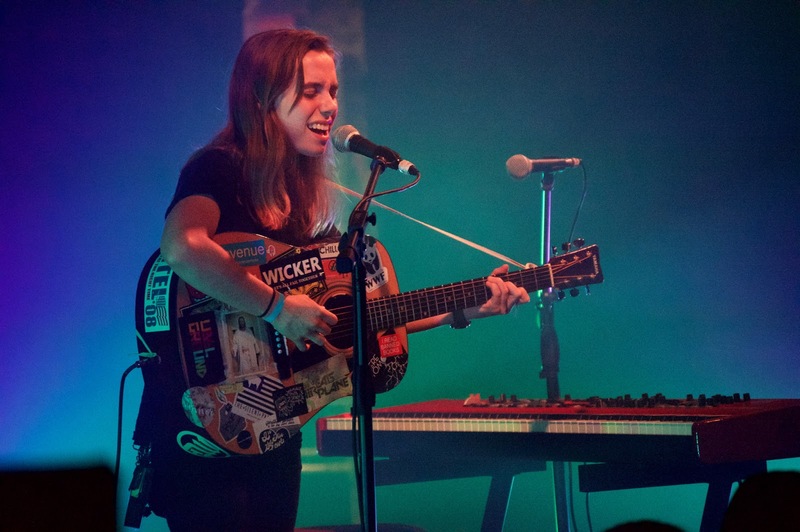 Memphis-based singer-songwriter Julien Baker visited Lawrence on Saturday night for a Granada show that soothed and inspired the hundreds in attendance. Despite being only 21 years old, Baker commanded the crowd's attention more effectively than those twice or three times her age. Her voice sliced through the stage fog and echoed through the theater with each movement. Many in the audience felt compelled to sing along to familiar parts, often acting as Baker's choir. After resounding applause, she often offered up a grateful "thanks, y'all" before jumping into the next song. Opening for Baker was Luray. The D.C. quartet played sleepy alt-country and folk tunes and remarked on how Baker draws such quiet and respectful crowds to her shows.